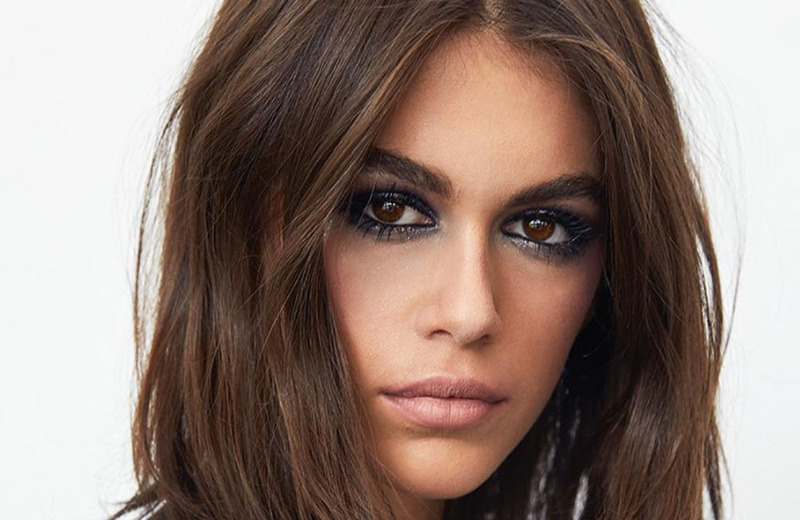 Model Kaia Gerber has landed a major new gig as the face of YSL Beauté. The US supermodel has been chosen to act as the ambassador for the prestige French makeup brand, WWD reports. She will kick off the new role by fronting a campaign for the label’s “Rouge Volupte Shine” lipstick next January, before stepping in front of the camera to represent its signature “Touche Éclat” concealer and “Mascara Volume Effet Faux Cils”. YSL has been teasing the news via Instagram, sharing close ups of the 17-year-old with its 4.7 million followers and revealing that she will be its youngest ambassador yet. The news comes at a busy time for the 17-year-old star, who is the daughter of supermodel Cindy Crawford — Kaia just walked the runway for Chanel — read more: Chanel Transforms The Grand Palais Into A Beach.